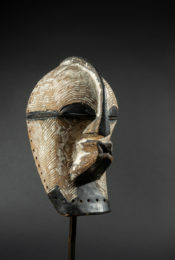 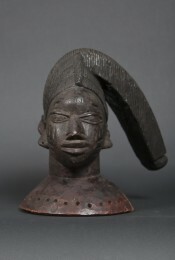 The Jukun inhabit the Upper Valley of the Benue River in eastern Nigeria. 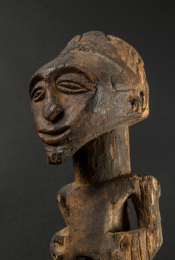 Little known before the field studies done by William Rubin in the 1960s, the Jukun developed a singular, powerfully expressive art. 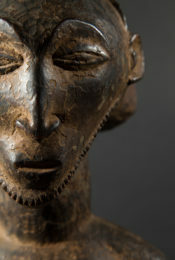 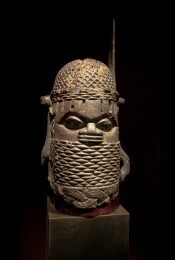 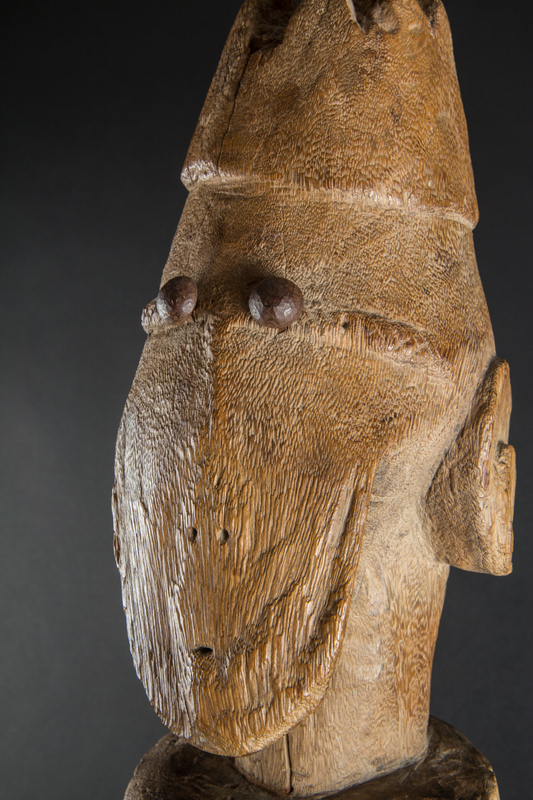 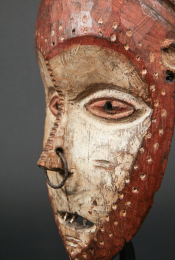 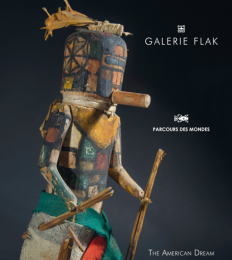 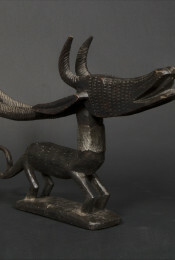 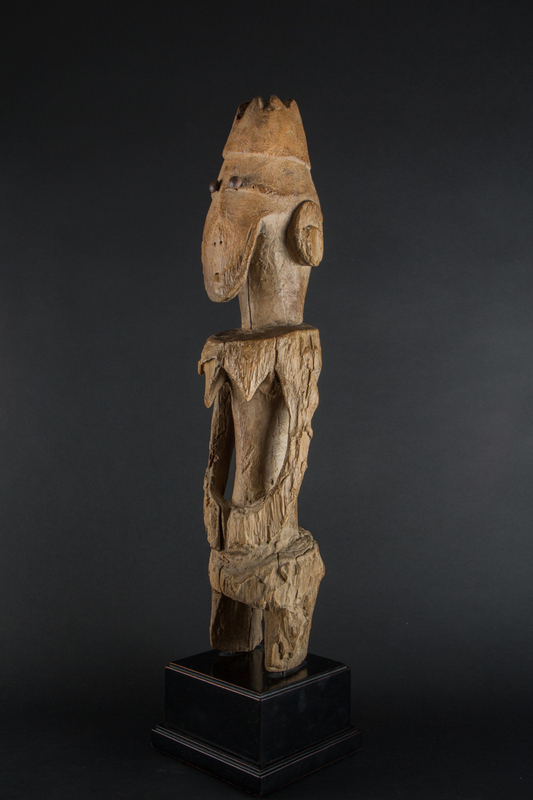 Intensely enigmatic, large Jukun statuary has today still not revealed all of its secrets. 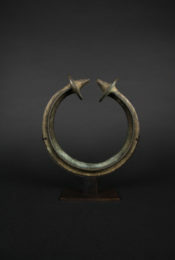 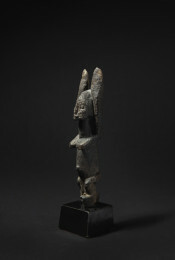 The notion of duality is inherent to these statues, which function in pairs (man/woman). 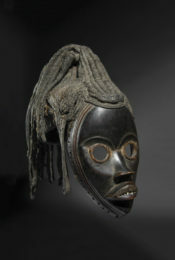 While they represent chiefs and their wives, above all, they sum up and incorporate the spirit and power of the ancestors. 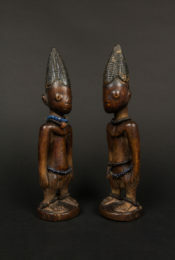 These statues appear for healing ceremonies in Mam worship, but also in rites for bountiful harvests. 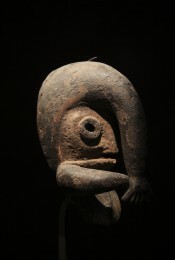 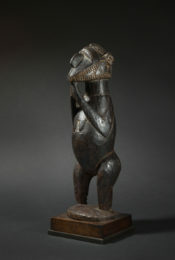 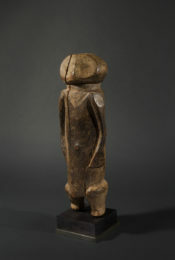 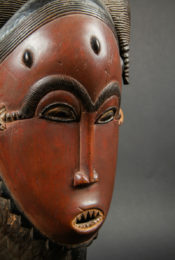 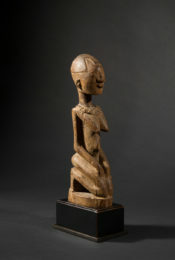 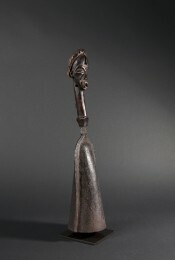 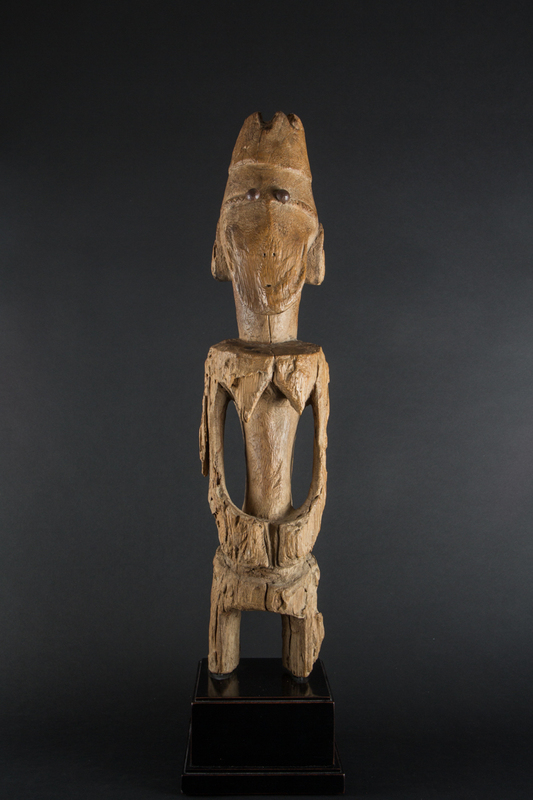 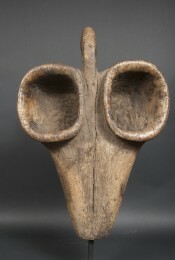 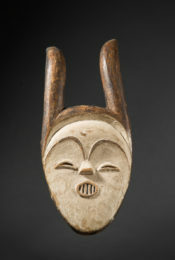 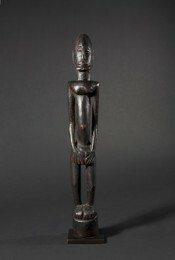 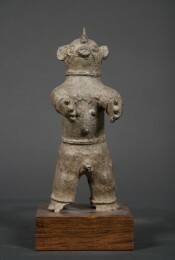 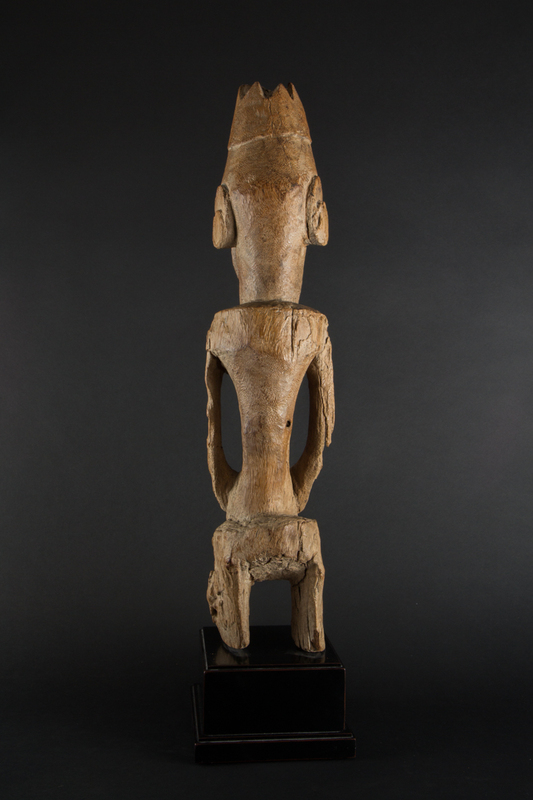 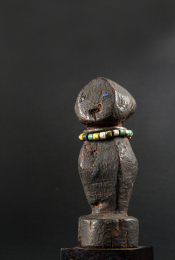 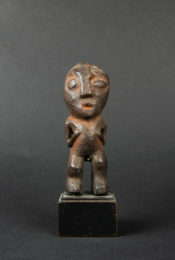 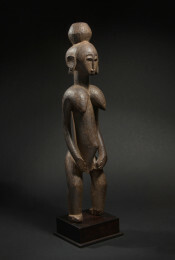 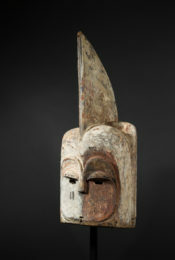 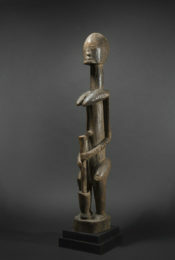 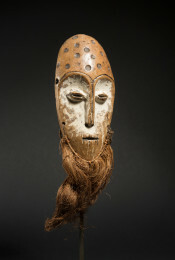 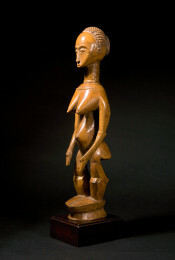 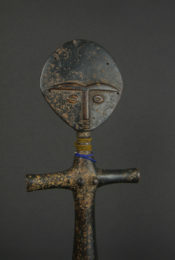 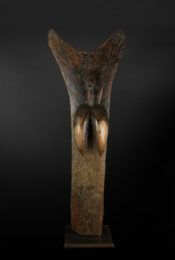 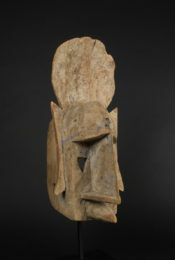 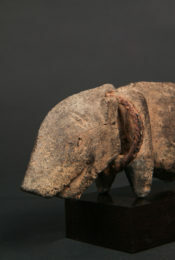 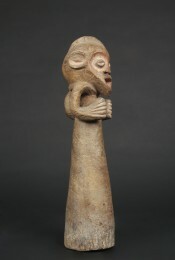 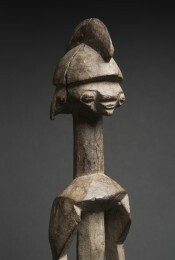 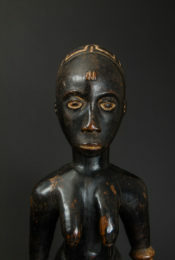 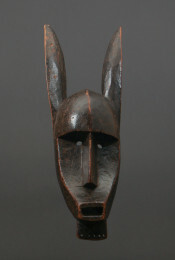 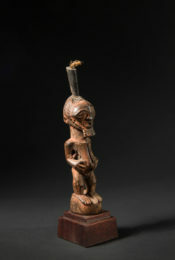 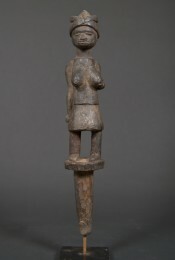 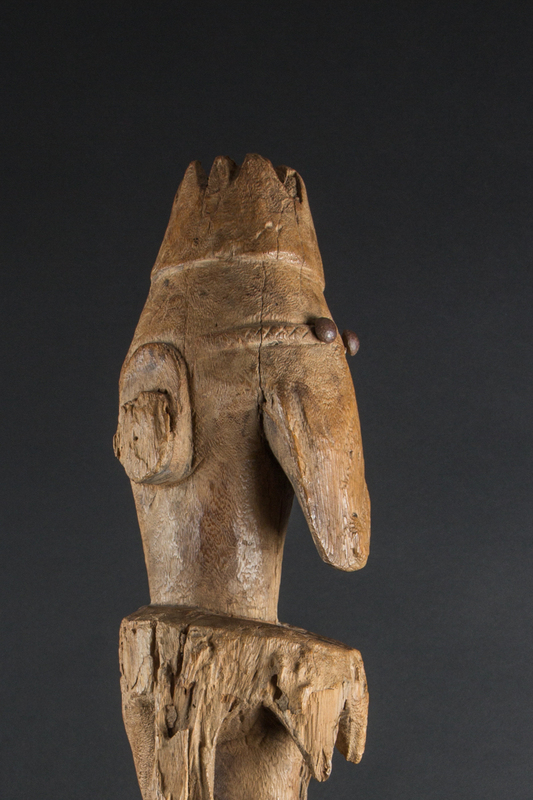 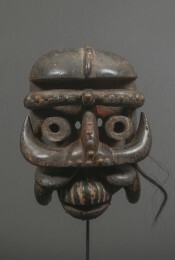 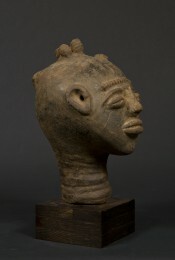 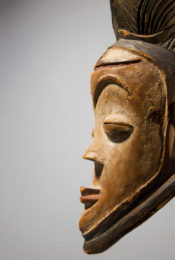 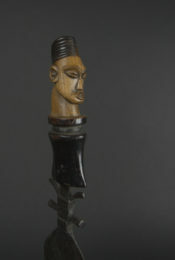 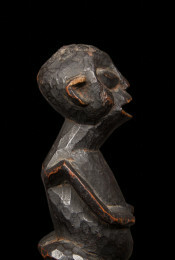 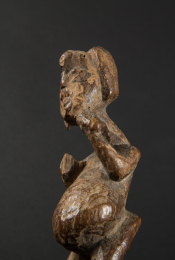 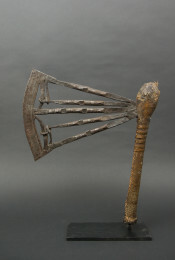 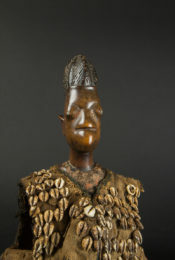 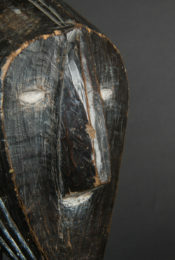 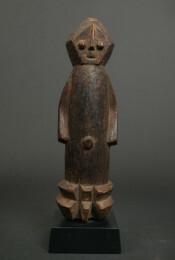 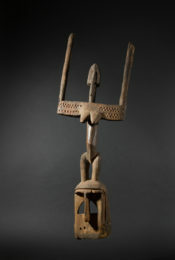 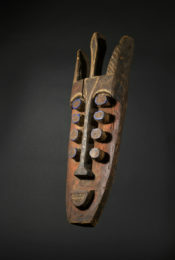 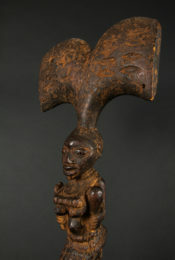 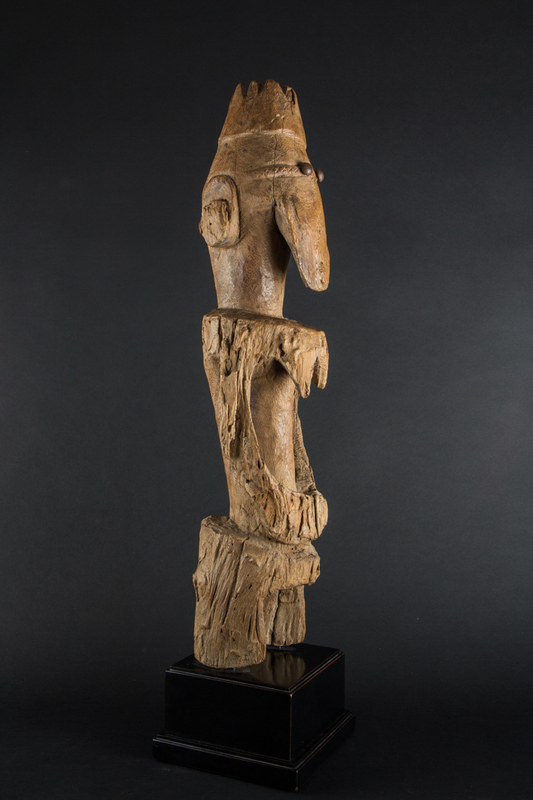 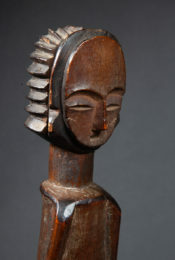 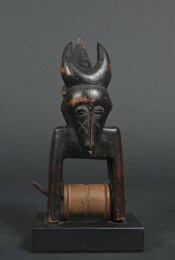 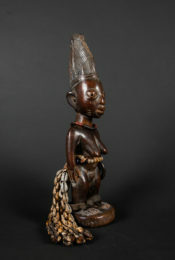 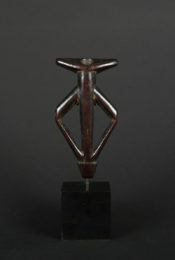 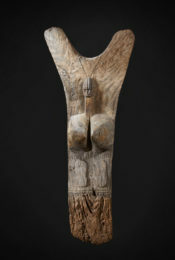 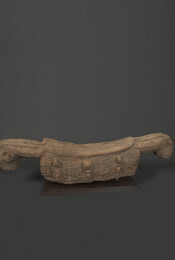 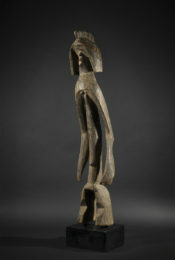 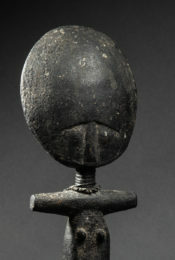 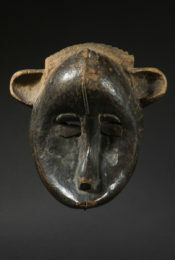 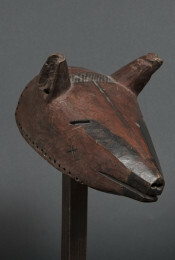 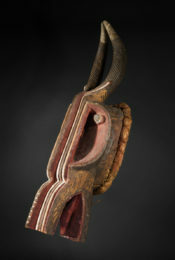 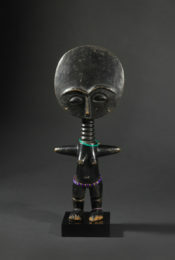 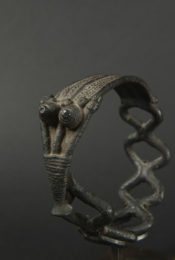 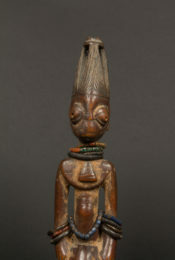 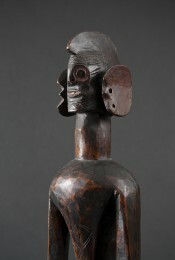 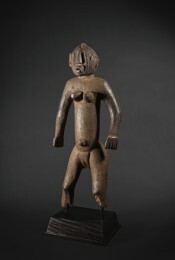 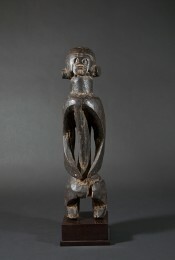 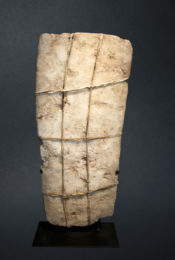 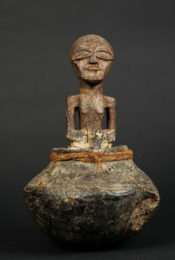 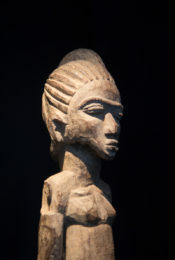 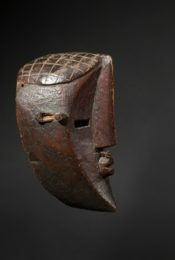 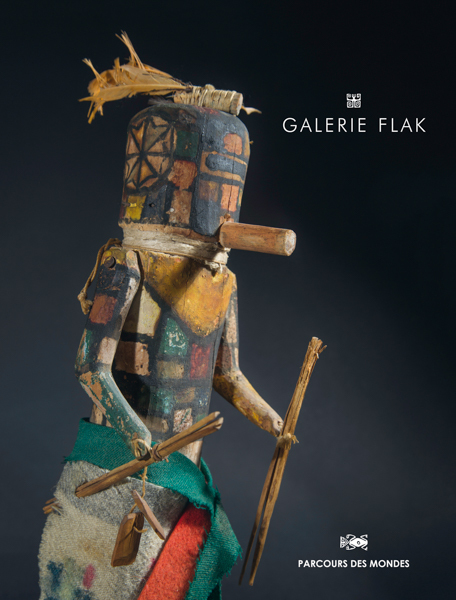 This female Jukun figure, eroded by time and ritual use, is an exaltation of power and movement. 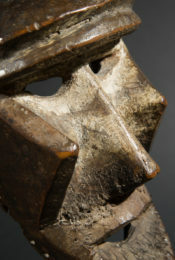 The two nails used for eyes and the delicately incised mouth animate her mysterious face of highly Cubist-looking construction. 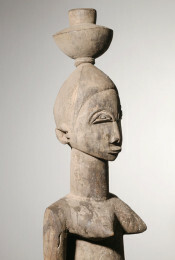 There emanates from this figure, with its head sitting haughtily on its shoulders, a remarkable nobility and poetry.